QMSI: When you cannot afford to fail. We are a team of engineers, computer programmers, and designers driven to meet our clients global demand for AUTOMATION. 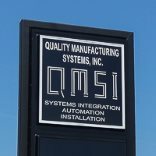 QMSI has been in the automation business as a control systems and real-time software development company since its inception in 1993. 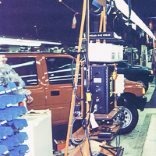 QMSI started in the automotive industry. During those early years, we molded our company philosophy: to provide the most efficient and reliable solutions for our customers. QMSI entered the automated pharmacy business. 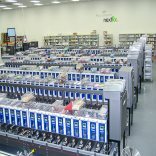 Early on, we became one of the leading providers of automated pharmacy control system software. QMSI becomes a major player in the turnkey automated pharmacy system construction arena as prime contractors after first completely new automated pharmacy comes online. QMSI is an automation company with skills to create, convert, improve, and accelerate our customers’ industrial processes in multiple industry sectors. QMSI maintains all of the skills to do machine design/development, sophisticated control systems, and high level software development under one roof. QMSI can take full responsibility for the plant design, the machinery, and the integration. We are happy to do any or all of the aspects of an automation project. Click on the job title or icon for more information and to apply. Develop machine controls for industrial automation.Control systems will be highly integrated with manufacturing execution systems.Work includes automated pharmacies, first tier automotive manufacturing plants, some process control, and packaging systems. Develop machines for industrial automation (emphasis on the design and fabrication of custom machines). 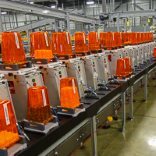 Control systems will be tightly integrated with manufacturing execution systems. Develop software to provide custom industrial automation for pharmaceutical products, to route order items on conveyor belt, to support automated sortation using Visual Studio (C++, C#, Web Services) and industrial printers (Intermec, Datamex, Zebra). BS in Computer Science. QMSI does not store, transmit, or receive any protected health data, including trouble reports (not even via secure email) on our network. If a customer needs to have QMSI personnel view protected data, QMSI requires that customer place the information on a shared folder on their network, and provide the name and location of the file(s) to QMSI via email. Under no circumstances shall any non-redacted protected data be sent to QMSI by any means. Copyright © 2019 Quality Manufacturing Systems, Inc. All Rights Reserved.